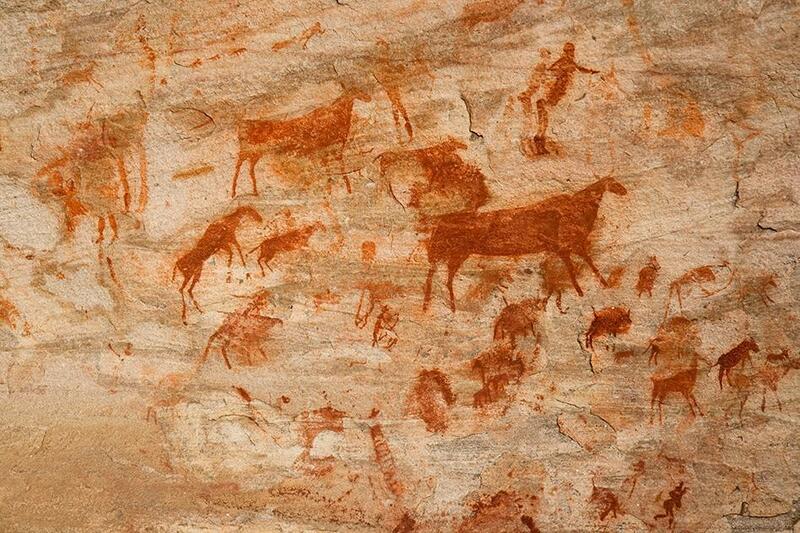 The world’s best-known cave art exists in France and Spain, but examples of it abound throughout the world. Cave drawings may show evidence of the development of spoken human language, a Massachusetts Institute of Technology professor suggests in a new paper. MIT linguistics professor Shigeru Miyagawa co-authored the paper, along with researchers from Tokyo and Brazil. It was published in the journal Frontiers in Psychology on Tuesday. Miyagawa and fellow researchers argue that cave art was not just used for visual representation. The authors note the work of other scholars who have observed that cave art is often strategically placed in acoustic “hot spots,” ideal for strong echoes, MIT said in a statement. Miyagawa’s team believes this may be evidence that humans were generating sounds in those spots, and that the sounds may have then been portrayed in the paintings, which would make the paintings the first record of a language. Much of the world’s best-known cave art exists in France and Spain, although examples of it abound throughout the world. In recent years, for instance, scholars have catalogued Indonesian cave art they believe to be roughly 40,000 years old, older than the best-known examples of European cave art. Geometric engravings on pieces of ochre from the Blombos Cave in southern Africa have been estimated to be even older, at least 70,000 years old. Such art suggests a cognitive capacity that humans spread to the rest of the world, MIT said. For now, the paper is simply a hypothesis. But Miyagawa and his fellow researchers say cave paintings should be studied further with regard to their connections to language. Laney Ruckstuhl can be reached at laney.ruckstuhl@globe.com.